Every ex-President has a legacy, whether it is a good one or not depends on what that man did while in office. President George Washington will forever be known as the father of our country, while Bill Clinton will forever be known for his dalliance with Monica Lewinsky. Monica is Bill’s legacy. Ronald Reagan will be seen as a man who stabilized our country under trying times, and George Bush 41 as a man who almost won a good war, but didn’t have the intestinal fortitude to complete the job. Social Security is FDR’s legacy and being the first to drop the atomic bomb is Truman’s. Abraham Lincoln, the Civil War and freeing the slaves, and U.S. Grant for his support of freed slaves, as well as native Americans, in spite of his overlooking the corruption during his two terms in office. Andrew Jackson will always be known for his support of slavery, and the White House parties he threw for his supporters while President. Dwight Eisenhower will be known for developing the first national roadway system and as a man able to maintain peace with a very aggressive Soviet Union trying to expand worldwide. Legacies, every ex-President has one, no matter if it is memorable or something deplorable. Ex-President Barack Obama has one, but it is still developing. As we learn more about his eight years in office we are learning some very disturbing things; like his providing access to billions of dollars to our sworn enemy, Iran, lying to congress about it, that on top of delivering half a billon to them in cash in exchange for three prisoners held by them. Yet, Obama already has a legacy, one that will not fade away, no matter what other nefarious behavior is learned about him down the line. He will always be known for his enfranchisement of tribalism among Americans, and the disastrous effects it has had on this nation. Obama’s tribes consisted of progressives, Blacks, females, homosexuals, trans-genders, and Muslims. Each group had one thing in common in Obama’s worldview, and that is that they have all been victims of America, oppressed by Whites, males, and blue collar working class Americans. White females could be part of the oppressed, or those oppressing; depending on their political beliefs. It is this tribalism that drove, and continues to drive Obama, as he surreptitiously works through his front groups to undermine this nation even today. The question asked by most during his Presidency was why he behaved in the manner that he did. It puzzled so many, including this writer, for a long time. Calling him a communist, though true, did not explain many of his actions. Things like attacking white men, even those who supported him, puzzled many observers. It seemed that he was biting the hand that fed him; yet those holding out that hand willingly accepted his abuse. He was only able to get away with that behavior because a false narrative was developed early in his Presidency that any attack on him was racism. Out of that narrative grew his first tribe, black privilege. The black tribe by itself could not sustain Obama, because, like all groups of Americans, they do not think and act as one; rather as individuals, with individual needs and expectations. Where those followers of Al Sharpton may have gone along with everything Obama wanted, those who follow Walter Willams did not. So, a single group isn’t sufficient to support a man hell bent on transforming America. His base tribe is progressives. They were his driving force, which successfully got him into office, every office from State of Illinois Representative, to U.S. Senator, to President, without anyone once challenging his qualifications or reasons for filling those positions. That lack of intellectual curiosity on the part of the press was twofold, one because he was one of them, a Democrat who opposed any Republican, and out of fear of being called a racist. Racism was his number one weapon to the Presidency, and afterward doing what he wanted without challenge. Even Bill Clinton admitted that; even though there is nothing about Clinton worthy of repeating. Progressives are what the Democratic Party has become, and progressive is a euphemism for communist; but they don’t want anyone who is not one of them to know that, so they hide who they are in the misnomer of progressive. Thankfully, less than 20% of Americans are progressives, and even though many more identify themselves as Democrat, they are not fully communist. This part is a bit confusing, the Democratic Party is presently led by old time liberals, who may or not be communists, but the driving force of the Democrat Party is communist; calling themselves progressives. So, old time liberals, like Diane Feinstein and Nancy Pelosi, Hillary Clinton and Chuck Schumer, keep going to the left to garner support from progressives. Look at California, Massachusetts, New York and Illinois, the big Democratic states, as they keep going farther and farther to the left to vilify their progressive base, who will not be satisfied until they turn America communist. All four are facing bankruptcy trying to grow their governments large enough to satisfy progressives, and losing income earners in that attempt. As they spend more, their income is lost to states whose ideals match our founding father’s view, where the income earners migrate to. Yet they continue down the path of self-destruction simply trying to placate the progressives’ zeal. That progressive tribe kept Obama in power long enough for him to wreak havoc on once strong American institutions, like the military, DOJ, FBI, NSA, CIA and every other executive branch agency that reported to him. Due to the submissive press coverage of this President, no one thought that standing up to his anti-American demands was a good career path. So, all succumbed to his tyranny. The long term results of those agencies failing to protect America is still unfolding, but the outcome seems bleak at best. This, too, is a part of the Obama legacy. The progressive tribe is presently throwing a tantrum that Hillary lost. For over a year they have spurred an iniquitous investigation against President Trump asserting that he was in collusion with Russia to steal the election. They also birthed the Antifa movement, and empowered the American Communist Party to come out of hiding and into the open. These are the people slandering America’s history one statue at a time. It is also the reason that socialism is no longer viewed by many to be a bad governing format for America; even though it is the antithesis of our Constitution. The homosexual tribes, whether they are gay, queer, lesbian, transsexual, or any other letter in that vast acronym that covers all of them, is another sprocket in the larger gear that propels O’s legacy. Like blacks, not all homosexuals are anti-American, but enough are that it creates an illusion that they are. Feminists are another of O’s tribes, mixing with progressives and homosexuals, and most remarkably, Muslims, another of O’s tribes, are staunchly anti-feminist and anti-homosexual. Where sharia law is the rule, women must, by law, submit to men, and homosexuals are killed simply for being homosexual. This is a strange mixture, but the old Arab adage, ‘the enemy of my enemy is my friend,’ is what drives this combination. These tribes are a combination made in hell, and won’t last long; yet its mixture is having an effect on our present day politics. And therein lies the Obama tribal legacy. It will forever be remembered in history as his most lasting legacy, because of the problems it is causing, and will continue to cause for years to come. It is the transition that he told reporters he intended in the first place; that no one asked what he meant. When all is said and done, maybe 50 years from now, the only thing that will be said positively about Obama is that he was the first black President; and that will be his legacy. Even in our distant future, no one wants to be called a racist, so a negative legacy will be ignored in favor of him being remembered as the first black President. Obama’s (or whatever his name is) legacy is “Liar in Chief”. A radical race-baiting pervert who usurped the Presidency and inserted his Brotherhood into every Federal Agency for all eight years in office. It is 18 months past time to turf his anti-American ideals out of the putrid swamp. God will be his judge for the destruction he wrought on our once great Republic. Thanks Ray. Nicely, neatly, and succinctly packaged and communicated. Thanks Wayne. One of Joe Ragonese’s best articles. It appears as though ANGHARAD has summed up the ‘polite’ overview of Obama quite well. . . End of story. An excellent analysis of Obama’s mentality towards America – one of pure hatred. It has always been my feeling that no true American could ever do to this Country what he did or caused to be done to it. 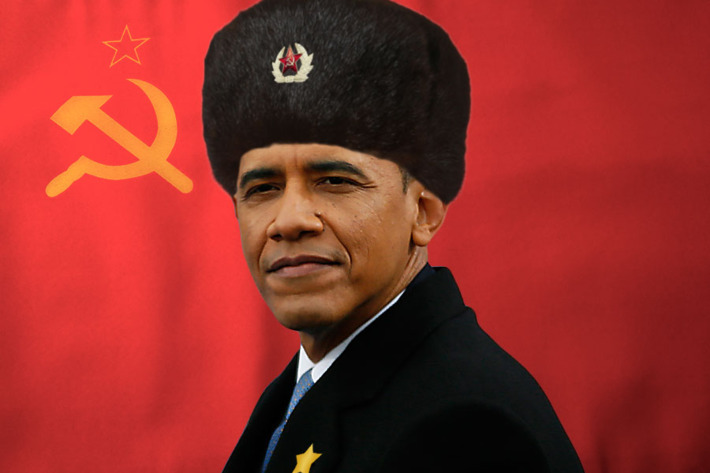 That he is a Communist goes without saying. I had no idea who Obama was so my husband and I watched him on TV giving his now infamous “fundamentally change America” speech. As soon as I heard that phrase, having earned my BA in political science in 1975 which had some dust on it, I turned to my husband and in horror, said “Oh, my God, he’s a Commie-Socialist bas**rd”. I hoped that I would wrong. Brilliant article on Obama’s legacy of tribes as a means to undermine and transform America to a failed state in order to bring on Communism. Stupid, believing ‘Murricans are as much to blame for buying into this flim flam man. Idiots made Obama what he became, a hater of America and especially white Americans. He got away with murder, setting up his little kingdoms of dissent and hatred. America bought it hook, line, and sinker. Stupidity is as stupidity does…..the dopes that voted for the creases in his pant legs deserved every bit of misery he foisted on them. It is much easier to destroy than build. What actually is happening is the partitioning of the US not by geography, but there is a geographical component, in to tribes to a form of government that is one of the worst of all because it always drives society backwards. Author is still missing the point. Obama used “tribalism” but Obama was a puppet of something much larger. He was hand selected and marketed in 2008. Hillary was told to step aside and wait her turn and be satisfied with SofS. Obama who was obscure never could have risen to the Presidency in such a short time using the traditional pathways that have been available to every other candidate. McCain, Romney who have traditional resumes were left in the dust. Author needs to look into the globalist cabal and how the US has been manipulated and its ekections by this cabal and their overwhelming wealth for at least 5 decades. Obama was their culmination. He as their puppet so weakened the US that Hillary would have finished the job. Then along came Trump. Tribalism as the author puts it is only as one method to divide, disrupt and weaken the nation. Obama attacked on many fronts, healthcare, regulations against business and industry, wars, aiding and abetting enemies to our country and the world (Iran) , disruption and weakening our military. The cabal took an avowed Communist and used his race to market him as the first black president after having set political correctness into an entire generation. Obama was in no way the brains behind this, he was their frontman and has been richly rewarded. This isn’t even communism it goes beyond that to an elite and a NWO. This is nefarious, sinister, and evil. The US is not the only nation to be used in this world wide chess game nor Obama the only bought and paid for leader. Obama was self aware who his benefactors are as are the Clintons and Merkel. Macron, Trudeau are recipients with middlemen. The cabal’s endgame was in sight…then along came Trump and patriotism and nationalism was stirred and it has begun to spread…the peasants are rising and fighting back and the cabal is doubling down using their full aresnal of bought and paid for politicians, their acquired media empire to full their propaganda to indoctrinate the minds of the voters and continue to spread discontent, racism and division within our country and other nations. The spew of hatred coming from the useful idiots toward potential peace with NK, threat of impeachment of our duly elected President, has come from a select group of very monied elitists who want to remake this planet into their image, destroy liberty and the human spirit and utilizing whatever means necessary, and using whomever wi ttingly or unwittingly to accomplish their goals. Obama wasn’t the leader, he is their good little puppet, using his Chicago community organizer skills and a willing cadre of indoctrinated useful idiots to continue the march. The fear of racism will allow this traitor to keep his millions and keep fomenting disorder and chaos in America. The only alternative is to hit him with the Constitution right up side his head in court. I truly doubt anyone in government has the cajones to confront him with an indictment, let alone an arrest warrant for his obvious crimes. I loved your article. I had a very bad feeling in November of 2008. It lasted eight years. I hope we have the stomach to completely unmask that fraud for what he represented and for what he did. Completely and totally . YES AND ALL THE ABOVE,,,,, PLUS A COMMIE WEST POINTER,,,,,,,why was SENATOR MARCO RUBIO THE ONLY PERSON IN WASHINGTON D.C. TO BECOME OUTRAGED OVER SPENSER RAPONE,,,,,,the only one to call for his ouster in the fall 2017…..at the capital,,,,,,,, marco rubio,,,ron paul,,,,joe mccarthy,,,,,all spitting into the wind. IN HONOR OF FATHER’S DAY,,,,,,,17JUN 18,,,,,,,please youtube,,,,,,,AMAZING GRACE with PRESIDENT JOHN F. KENNEDY,,,,for those of us who lived at his time,,,,,we were so young and could not know,,,,,,,now we have wisdom born of experience,,,,,HE WAS A FATHER TO OUR COUNTRY,,,,,,,and the last great president of the united states of america.